For the next block in my modern sampler, I used an improvisational technique that first occurred to me several years ago: I outline the size I want my final piece to be with painter’s tape and then fill it with whatever shape I’ve decided to use. 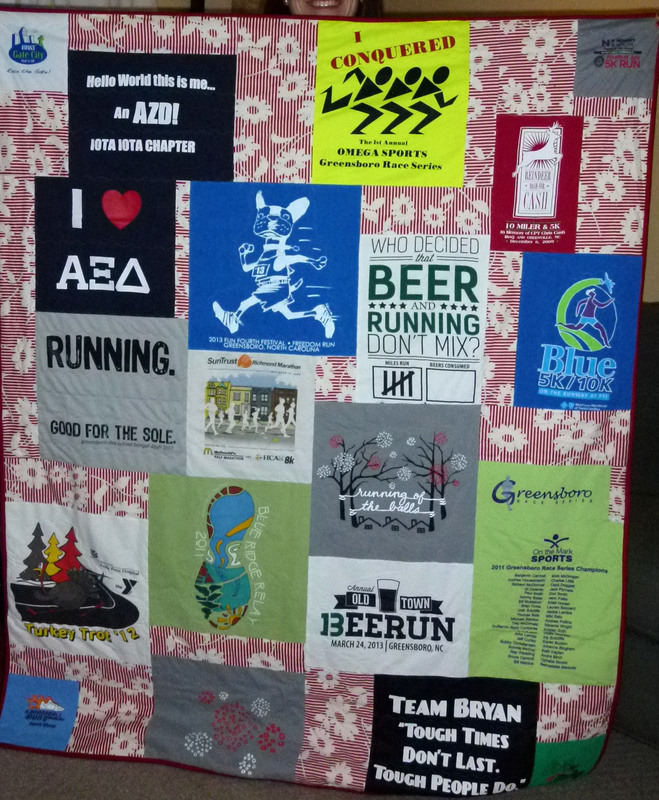 The shirts were all cut into rectangles and squares, and the fill-ins therefore were rectangles and squares as well. I’m not saying this is easy, but it sure was more fun than just making a bunch of blocks the same size and lining them up. So for the next Modern Sampler Block, I outlined an 8-1/2″ square on my cutting mat and started filling it with triangles. I added 1/4″ strips between the triangles to give the whole thing definition. Then I just kept addiing triangles (that I cut randomly) until it was done. No chance of a pattern for this one. To make it, just cut a triangle you want to start with and then keep adding on. I have a couple of deliberate exceptions to my “rules” so that the eye doesn’t just keep saying “yes”, it has to stop occasionally and say, “hey, wait!” The only trick is to keep finishing with a straight edge so you can easily add on the next section. Try this technique! I hope you enjoy it! Pretty Blocks–better look at this one! 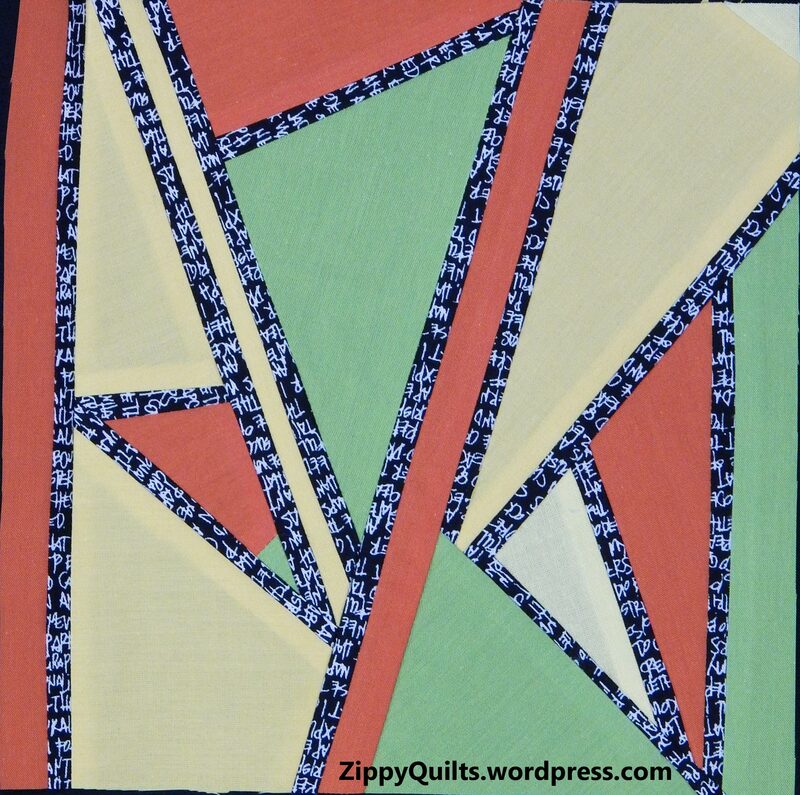 This entry was posted in Free Quilt Pattern, Improvisational quilting, Modern Quilts, Modern Sampler, Quilt Design, Quilting, Tutorial and tagged free pattern, improvisational quilting, modern quilt, modern quilt block, modern quilt design, modern quilts, Quilt, quilt design, quilting, quilts, scraps by zippyquilts. Bookmark the permalink. I’ve heard to make visual decisions visually, and your system allows for that quite nicely. Slower process, but I too like the variations in the result. I like your outlining the triangles too. I don’t worry about ending up straight; I just make a little bit oversized and trim . Yes! 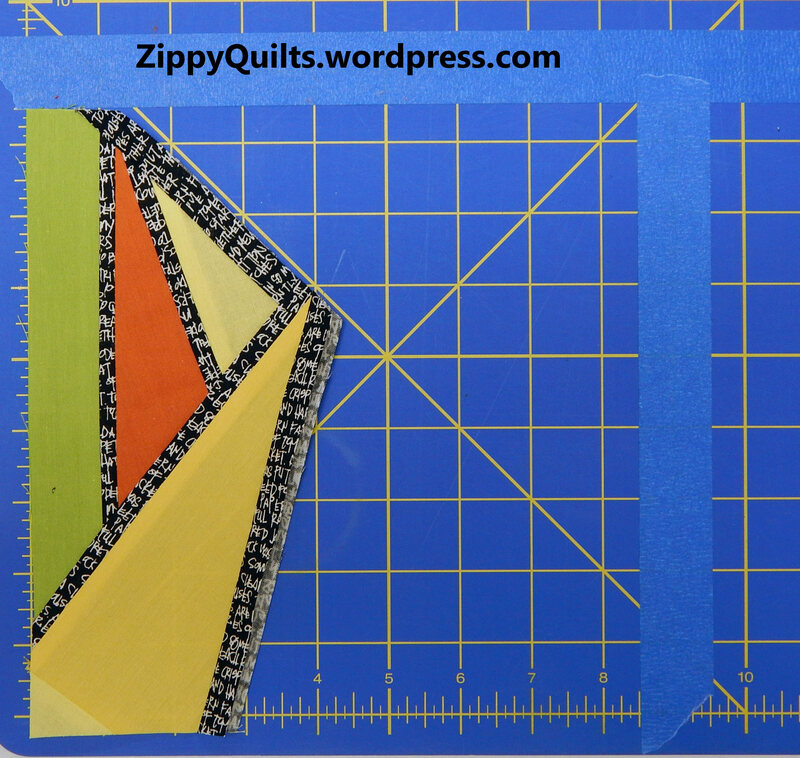 Make oversized & trim/square up is a major reason to make improv projects in my opinion!